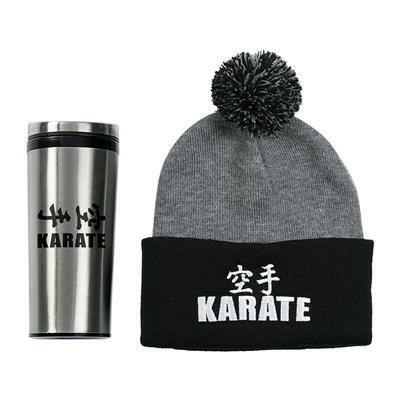 Great for walks on fall days, staying home with a good book, or watching classes at the dojo! 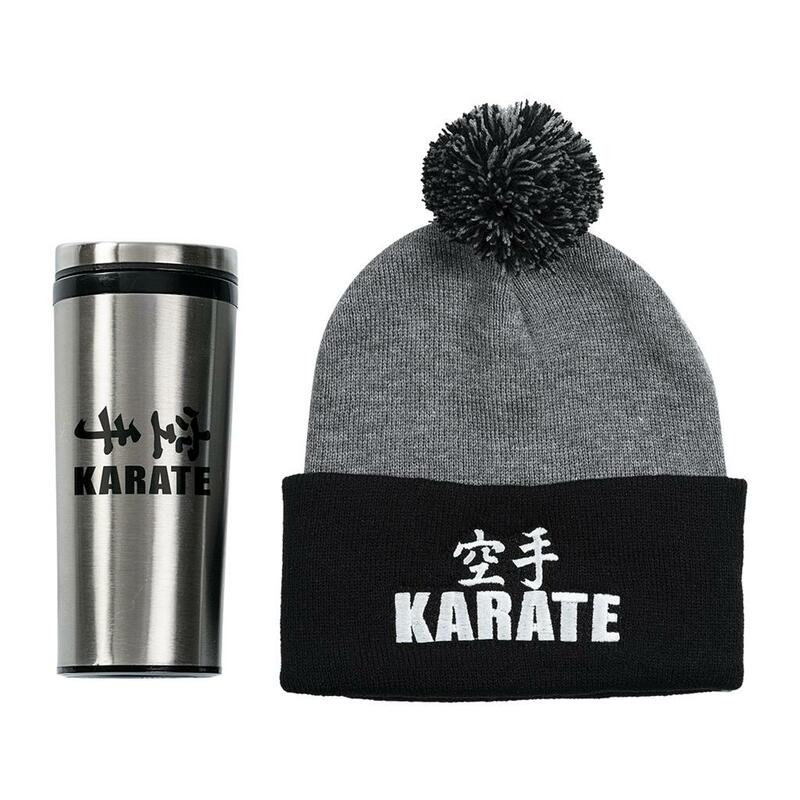 This gift set includes a pom-pom topped beanie hat (one size fits most) and a 16 oz. stainless steel tumbler.